ESSENCE.COM Straight Talk: On The Art of Relaxing Your Own Hair - Hairlicious Inc. I must admit, relaxing my own hair with the help of my sister has been such a liberating process. Don’t get me wrong, I love being pampered at the salon every now and then; however, having the freedom to relax your hair any day of the week and at any time certainly places power in your hands. Using a normal strength relaxer is my personal preference. I use normal strength relaxer because it processes slower preventing my hair from becoming over-processed. 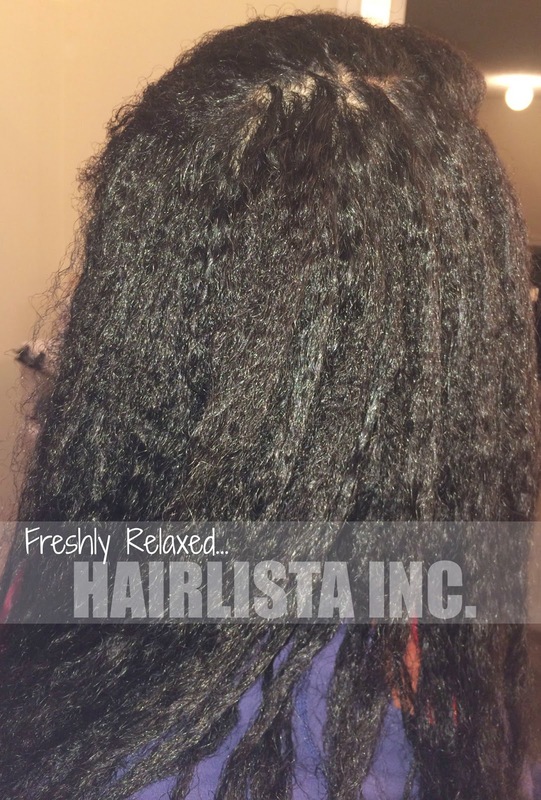 I usually relax every 10-12 weeks and prep it a few days in advance by using a detangler to remove any knots and tangles at the demarcation line. This really helps to speed up the relaxer time. On the day of my relaxer, I apply a thick oil to my scalp and around the perimeter of my hairline preventing any burns. In order to prevent overlap and over-processing, I apply Vaseline in sections on my previously relaxed hair the day of my relaxer. This step is crucial as it creates a solid barrier between the length of my hair and the relaxer. My sister and I tag team and relax my hair at home. I make sure I have my relaxer tub, latex gloves, applicator brushes, extra towels for any mess and my timer! We part the hair in 4 quadrants (2 in the front and 2 in the back). I’m responsible for the front portion and she relaxes the back portion. I pre-part the front of the hair in 1” inch sections and 2 strand twist each section for fast and easy application. My sister duplicates the same process in the back section. We smooth out the relaxer 2-3 times (relaxing only the new growth). We relax my entire head for 20-25 mins, which works best for my hair, as the results are always consistent. My hair turns out straight with a little bit of kink – just the way I like it! What works for me is neutralizing my hair at least 3-5 times to ensure the relaxer is completely removed from my hair. This is key! Then I proceed to deep condition with a moisture/protein balanced deep conditioner adding strength back into the hair. That’s it! Try it! Gosh! This is the one thing I'm really scared about doing, I've chickened out 3 times now. Ur hair came out Really Nice! I'm gonna see If I can build up the courage to try it myself in November! I love the texture of your relaxed hair! Thanks hun!! It took a few years to get it this way. I used to over-process my hair to the point where it was bone straight!!! Not good. Any tips for someone who is working solo when applying to perm? Thanks! I would suggest, still using a mild strength. Mild relaxers process slower giving you enough time to do your head. 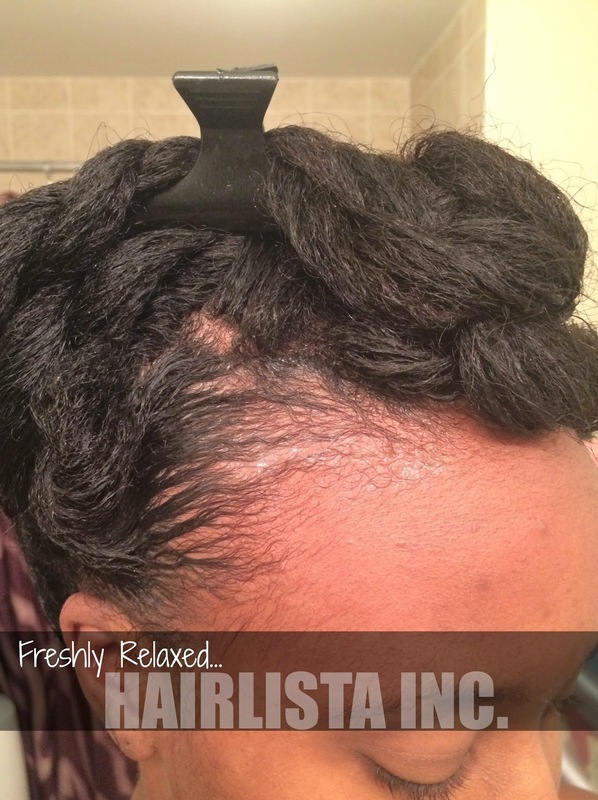 Some even add a little bit of oil to the relaxer to slow it down even further. You have to be careful as this can cause the hair to become texlaxed or severely under processed. Pre-section your hair so that you can get through your hair quicker. I would recommend that someone spot you, just to see if you've applied it to the back of your hair properly. Also, when applying the relaxer to the back of your hair, try to feel with your fingers where the new growth ends and the relaxed hair starts. 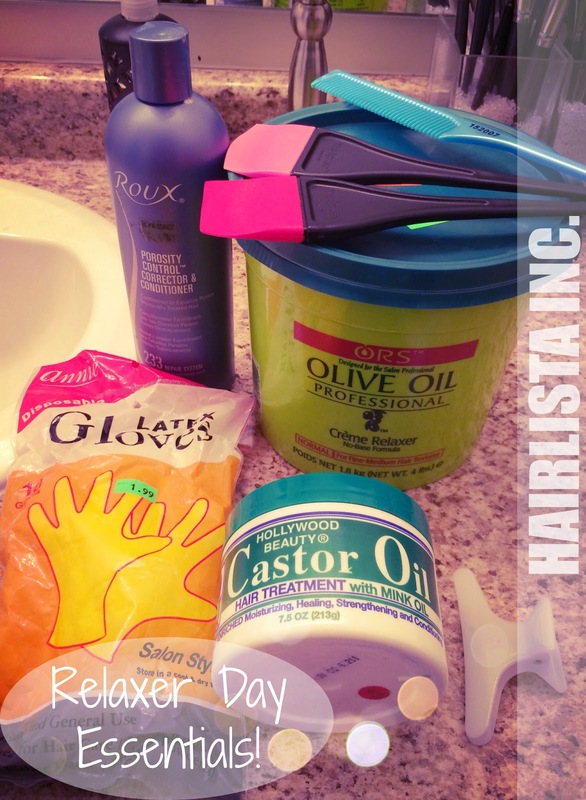 You want to know where exactly to apply the relaxer and it's best to feel with your hands. This will help prevent overlap. I'm thinking about self relaxing my hair because I moved and not able to visit my stylist. I relax about the same as you but the only thing is when I get my relaxer I always get my ends trimmed and I'm not sure I want to try trimming them myself. Any suggestions? I understand where you are coming from. I'm still not one to trim at home until I find extremely sharp long lasting scissors. However, if there is not stylist that you trust around you, you may have to take matters into your own hands. There are trimming techniques all over the net. I'm certain there are a few that may interest you. I've taken an interest in a particular method where you sectioning off the hair in 8-10 sections. Two-strand twist each section. Grab your sheers and clip off small amounts of hair (aka dust your ends) that are jagged, sticking out, split etc. Cut straight across for a blunt look. Hi it's me again I tried to self relax and i'm disappointed with it. My roots are almost the same. I need your help. What should I do for another 2 or 3 months with my unmanageable roots? I was thinking about pressing or flat ironing my roots. Which would be better? If flat ironing is better which type is the best; ceramic or titanium? Hey hun I'm sorry to hear. It sounds like your hair came out underprocessed. You have two(2) options. You can either do a relaxer re-touch in the next 6-8 weeks or you can leave it the way it is and flat iron it every 2 weeks or once a month. I would suggest you go with ceramic. Hi Sunshyne ! When you smooth out your hair what do u use. ? I read you only smooth out the back with a comb . So what do u use to smooth out your front? A comb also ? And does it look a certain way when the relaxer takes to the front ? How do you know when the relaxer is straight enough for your liking ? Hi hun! I use a rat tail comb to comb out my new growth at the back since its very stubborn to get straight and I use my fingers in the front. I don't smooth too much as the front "takes" very easily. When it begins to look "straight", I stop.